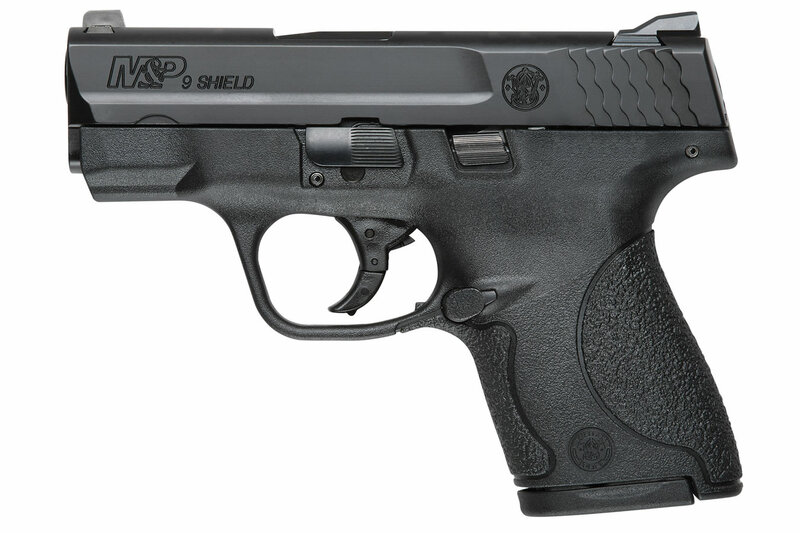 This addition to the M&P Shield Pistol Series features no thumb safety. Got it, love it so far. I havent got to shoot it yet about to do that now. I couldnt wait to say this gun disappears if you can find a good holster. Super light and really thin less then one inch. I love it before i shot it once. I can imagine after i shoot it i will just love it more. I usually run a Glock 23 so 9 mil will be easy to control Im sure even in a small gun as the Shield. Also getting some HST Federal hollow points. On sale right now awesome deal. Get one if you are looking for a Single stack 9 or 40. I like Glock very much, was looking to buy the G43 at $529.00, looked at the Shield once and I havent put it down, great shooter for the price,$379.00. I dont think anyone could go wrong buying the Shield, the 9mm conceals very well. (5 out of 5) Its everything youve heard! The M&P9 Shield handles and shoots as well as any pistol I own. In 200 rounds it has never malfunctioned and accuracy was great. I would recommend the Shield to anyone looking for a concealable, easy to handle 9mm pistol.